Ad Performance is a suite of online tools which helps digital marketing agencies operate more efficiently. - Adwords Scripts Manager; our innovative solution for centralizing all the adwords scripts and making it easy to re-use them for new clients. - Google Shopping Campaign Generator; Use any feed (xml or csv) to generate your Google Shopping campaigns in campaign, adgroup and product level. 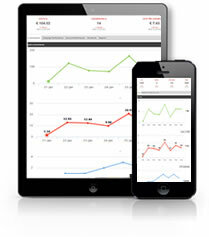 We offer white label dashboard solutions to agencies. So companies can offer marketing dashboards to their clients under their own domain or sub-domains with own brands. Read more about our white label marketing dashboard solution here. Watch our dasboard tool in action! Below video shows how easy it is to create a Facebook dashboard in just a few clicks. 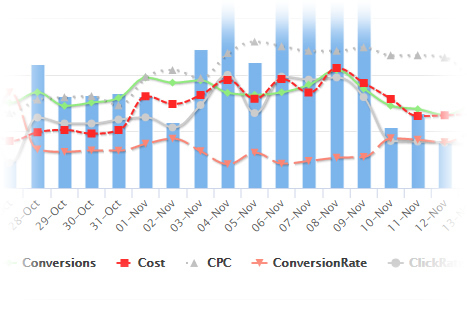 We make sure your campaigns run smooth, monitor competition and include KPI dashboard for easy reporting. 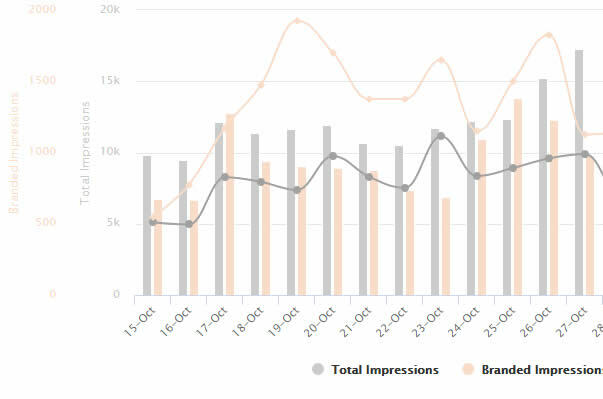 Your advertising channels are scanned daily for the budget constraints (over or under spending), for the KPI targets to make sure they're still within range. Daily email alerts are sent including the summary of the issues found. 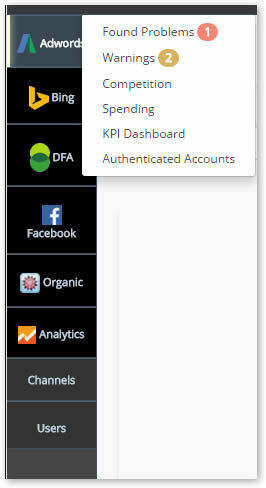 Quick loading KPI dashboards present real time information. Competition is monitored daily, competing domain, ad title and rank information available for the keywords of choice. Google Webmaster tools (or Google Search Console with its new name) makes your data available for 90 days backwards, which is 24-Jan-2019 as of today. Your data for 23-Jan-2019 is no longer available. Our platform also addresses this issue. AdPerformance will be storing and periodically updating your Search Console data so you can access historical data any time in the future. We also provide smart filtering for search queries and landing pages to be able to focus on the terms / pages those matter the most. Dashboards are generated with these filters. Branding vs generic search dashboard is also generated according to your brand filter input.